By Christine A. Krahling From its fact-filled preface to the over 100 recipes included within, the Complete Gluten-Free Diet & Nutrition Guide is a must-read for newly diagnosed celiacs. Author Anca notes, “It is no longer sufficient for newly diagnosed celiac patients to be handed a sheet with two columns listing, ‘Foods Allowed’ and ‘Foods Not Allowed’” (page 7). Amen to that. As a parent of a young adult who was diagnosed with celiac disease nearly 20 years ago, I know all too well the feelings of confusion and isolation that come with leaving a medical professional’s office with a list similar to what Anca mentions, and then left to figure it out on my own. On page 28, the section, “How Will This Disease Affect My Life?” touches on emotions that often accompany a diagnosis of celiac disease, such as denial, resentment, feelings of neglect and information overload. The fact that the authors discuss that “coming to terms with the disease is not always easy” shows that they truly “get” what a newly diagnosed celiac is feeling and that it is okay to have these types of feelings. The section titled, “Shopping for Gluten-Free Groceries” (page 50) provides great tips for that first, often-daunting trip to the grocery store and “Gluten-Proofing the Kitchen (page 62) breaks down in simple steps how you can effectively keep your pantry and appliances gluten-free so as to avoid cross-contamination when cooking or preparing foods for yourself or a family member. The “30-Day Gluten-Free Meal Plans” section (page 126) not only provides guidelines for what types of foods to prepare but a Daily Nutritional Analysis is included as well, emphasizing the importance of proper calorie intake, fiber, iron and other vitamin and mineral content of foods, and how to best incorporate them into a gluten-free diet. This will make a welcome addition to the celiac’s bookshelf. 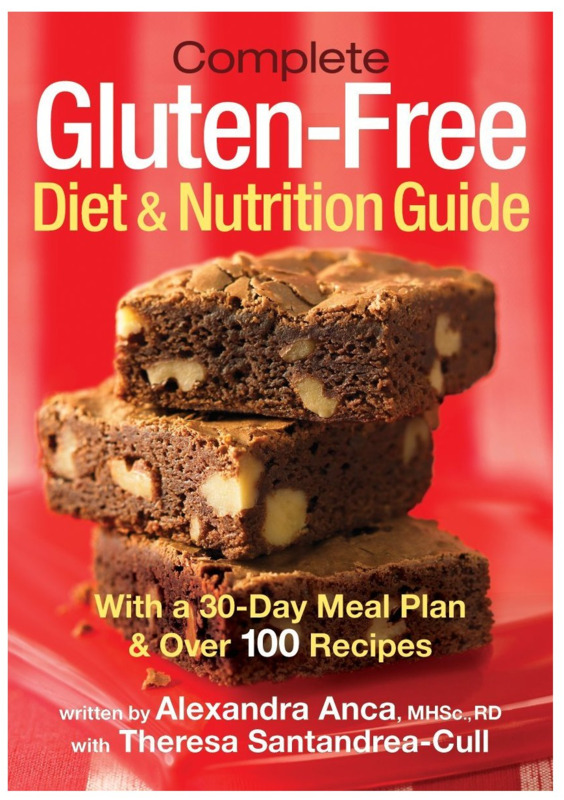 Order your copy at http://www.robertrose.ca/book/complete-gluten-free-diet-and-nutrition-guide.